Since 1852, Indian government had been concerned with the problem of flood in Bengal. Heavy damage by the floods in pre independence days, made post independent Government of India to plan a detail roadmap to control the flood. After Independence from British Rule, two River commissions and a Central flood control board were set up to implement the flood control mechanism. It included building dams, irrigation canals, forestation and so on . To control the flood occurred by Damodor River and its tributaries known as the ‘River of Sorrow’, a new corporation was formed, following the model of ‘Tennessee Valley Authority’. A new corporation named Damodar Valley Corporation (DVC) was created in July 1948 as an Act of Parliament. The new corporation was given responsibility to control flood in Bengal and Bihar. The project was initially aimed to build four large dams, three hydroelectric stations one thermal power station and a barrage with a network of canals and tributaries. The project was completed in 1956. The project was built with a "great enthusiasm and optimism that would change the lives of millions of people", as press used to report . The displacement and impoverishment of tribal populations caused by the DVC did not figure much in the news and any other media . The displaced families were not given compensation and they are complaining since then. Recently, the agitation for land and job by over 3,700 families has been supported by social activist Swami Agnivesh and Medha Patkar. Damodar River Valley Project was conceptualized on the Damodar River and its principal tributary, the Barakar River. Originally, four main multipurpose dams were planned at Tilaiya, Konar, Maithon and Panchet. 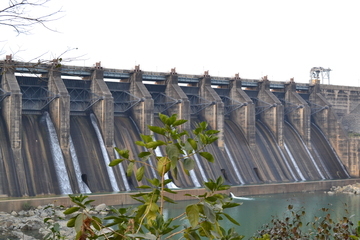 One barrage was constructed at Durgapur and commissioned during 1953-1959. 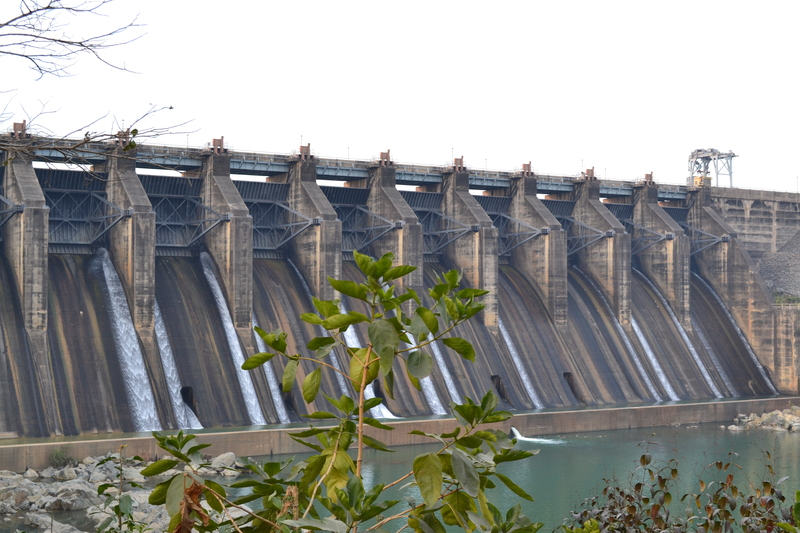 In addition, a single purpose reservoir on the main stream, the Damodar, at Tenughat (live storage 224 million m3 and without provision for flood storage) was constructed later in 1974. With the exception of the reservoir at Tenughat, the remaining system is operated by the DVC with the help of the beneficiaries, the States of Bihar and West Bengal, and the Central Water Commission, Government of India (CWC), in accordance with a mutual agreement . hydroelectric generation 164,000,000 KWH . The dam has three hydroelectricity generation units with a design capacity of 60 MW. Development of Alternatives The families displaced by the dam and power generation unit should be given job in the Damodar Valley corporation. They should also be compensated with the similar type of land for cultivation. Why? Explain briefly. People of Maithon dam displaced families were started least five-decade ago and still continuing. The families displaced by the DVC power plant had not been given job in the corporation neither were they compensated with land. The agitation is always peaceful and they put their demand to the appropriaties authorities. Recently, their movement is supported by the social activists like Swami Agnivesh and Medha Patkar.